“Lady (Hear Me Tonight)” came hard on the heels of “Groovejet” as a revivalist disco hit. It also works as a despondent, pleading answer record: where Sophie Ellis-Bextor embraces the dancefloor as a flirtatious zone of mystery and ambiguity, “Lady” begs for resolution. Lyrically, musically, emotionally, it circles its sampled groove like water circling a drain. Where “Groovejet” is spry, happy to lose itself in the possibility of disco, “Lady” finds a rut and keeps scratching it deeper in its despairing neediness. The singles’ proximity does “Lady” no favours – this suitor, and his simple plea, is run rings round. What’s interesting for me about the comparison is that “Lady” is outclassed even though it’s classier. Where Spiller’s production was a lucky dip of disco sonics, Modjo cut their cloth from the most impeccable of sources: Chic, specifically late-period soundtrack single “Soup For One”. Soup For One – the film – sounds missable, a Woody Allen-esque rom-com about a single dude’s struggles in 80s NYC. “Soup For One”, the single, condenses anything you might need to know about the topic into five faintly paranoid minutes: it’s worth the salvage. Modjo brighten Nile Rodgers’ riff and refine it further, extracting a tincture of frustration. They pay the sample a sizeable compliment: hearing “Lady”, you imagine it’s from earlier in Chic’s career than it is. By 2000, that career was a dance music touchstone. In Disco’s heyday, Chic’s British chart presence was consistent, but there was no specific breakthrough. Each incarnation – the irresistibly lean party funk of “Le Freak”, the barbed and brittle social observation of “Good Times”, or the terrible frozen longing of their slow jams – bobbed around in the top ten. Part of the fabric, but not dominant. Instead, this is their moment – the pristine, precise Rodgers/Edwards sound, “glass mountains on fire” as Melody Maker’s Paul Lester once called it, became a shorthand for disco itself. And their sense of economy – disco as a vehicle for intense emotion coolly expressed – was the backbone of the music’s French and international revival. Which is something Modjo get right. “Lady (Hear Me Tonight)” has few ideas, it’s an emotional monochrome, and it comes off worse in an unfair comparison. But it lands a genuine feeling – the awkward anomie of the dancefloor – making it a track I won’t play often but appreciate when I do. Yann Destal’s vocal is an animal chewing its own tail, but there’s some sense of relief in the track’s secret weapon: its springy, Bernard Edwards-esque bassline, which drags “Lady” out of its own soup for one and at least offers the possibility of liberation. This is where I go off to university and looking at the list ahead, it’s very noticeable how pre-September I remember them all crystal clearly and post-September I have no idea some of them were ever number 1, or even released. 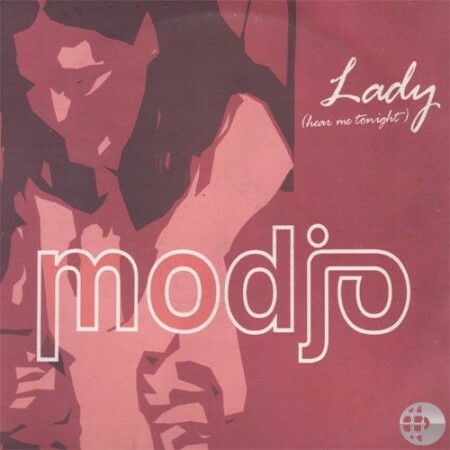 I liked Modjo enough to buy the song in a charity shop years after the fact. I also had good memories of the lounge mix, but on re-listening discovered that it was, er, not very good after all. I do agree with everyone that Stardust was way better – Modjo certainly felt like the tail-end of the French disco house thing for me. Discovery would come along a bit later but I see that as a separate development, a move on from the Stardust/Cassius/Modjo crop. I think there are two reasons this song and similar others are now virtually unplayed. The first is the relative anonymity of the artist; A1 at least make for a decent `where are they now` feature. The second is that 2000 is long enough ago for it to have faded from the memory while not being long enough ago for nostalgia nights. I’ve also looked at 2000 as a whole. Of the 33 acts who scored a number one single that year only eleven* (only one now bunnied) who never scored a number one in any other calender year. Of the twenty two that remain it’s interesting how few of them were getting to number one with their best material which perhaps explains why so few of these records are played now. As for Modjo themselves they were the third and last chart topping act of the year who could be classed as a dance act – Fragma and Black Legend being the other two** – and unfortunately for them their genre moved on big time. * If anybody double checks my count I’ve not included Melanie C in my eleven due to her prior success as a group member and over simplified by crediting Don’t Give Up to Bryan Adams while rather inconsistently ignoring Lisa Left Eye Lopez and two other bunnied credited artists. ** Chicane might possibly be a fourth but their chart topper doubles as a stadium rock anthem. #20/21 – I remember that with the next Daft Bunny record, I used some editing software to make Hum After All, mp3s (god, remember mp3s, those were the days) of all the songs that faded out exactly at the halfway point. But then one of the themes of Popular is that “I will now sit down and listen to a record” isn’t necessarily even in the top five of ways that people use music (and buy music to use) – something on while you do the housework, for example, is something where an enjoyable and not-massively-changing groove can be a bonus. Weirdly it’s the end of SMLTG that really annoys me, that it’s just faded down with no change. Re30 etc: I’m going second Cumbrian here – I’m not sure, in today’s fragmented pop world, how we define ‘doesn’t get played anymore’ – other than, as some people suggest, the wedding circuit. But even at the peak of my wedding attendance, I wasn’t going to enough weddings for it to feel like a representative sample. Plus, the same two friends of mine DJed at least three of the weddings I went to. And there was a least one wedding where Teenage Riot by Sonic Youth summed up what was played. On the other hand, as Cumbrian says, both this and Groovejet come up plenty of times on TV pop channels here in the UK – which is the only place I’d actually expect to hear this kind of music from this era anyway. #21 I can’t speak for anyone else but the buzz I get from SMLTG is closer to the one I get from loud drone music – its sense of perpetual peak reminds me a bit of listening to Glenn Branca, for instance – than from, say, minimal techno (let alone anything song-ier). Essentially psychedelic (though “So Much Love To Give” came out long after I stopped doing recreational drugs, so I’m not talking from direct experience). The addition of the beat changes the repetitive experience, of course, makes it feel less purely like meditation and more like, I dunno, distance running or something? STAT ATTACK: Modjo’s “Lady (Hear Me Tonight)” was played 464 times in the past 30 days across UK radio, mostly on Heart subsidiaries but with a respectable 12 plays on Absolute Radio 00s and 1 play each on Magic and BBC Radio 2. “Groovejet” managed 476, Fragma a paltry 209. “Gym and Tonic” has not been played in the past 30 days. For comparison, the current #1 and #3 are doing about ten times that. Based on all the conversations about whether you hear these played anymore, I thought I’d have a look to see whether people are still listening to these songs anymore (which is a slightly different question) by looking at last.fm & Spotify. I had a look at all the number ones we’ve had from 2000 so far and was surprised to see that this one actually gets a lot of listens. This means it’s getting lots more listens than either Madonna, or Robbie for example. Groovejet is way down the list (probably because it’s not on Spotify). For comparison A1 gets just over 1000 on last.fm & 1.1m on Spotify vs A-ha’s 90k & 45m. #38 I wonder to what degree Spotify’s curatorial efforts have an influence on these figures. I can imagine ‘Lady’ being whacked into “best of 2000” playlists more readily than ‘Bag It Up’ or ‘Day & Night’. I’m sure many listeners will seek it out independently of course, but I find it interesting how curated playlists are an alternative radio format of sorts. Although I don’t know if Absolute 00s skews it playlist much like its 90s version towards a particular demographic (lots of Oasic and Prodigy, very little Whigfield or Boyzone). Playlists could well be part of that – I’d guess more disco house ones than ‘best of 2000’ otherwise more obvious candidates like ‘Music’ or ‘Rock DJ’ would be as popular as Modjo, and they’re not. #41 that’s true, I guess genre playlists are generally more popular than “best of [year]” ones, which would perhaps appeal in the main to BTL-commenting chart geeks: I happily self-identify as such and have made several year-themed playlists. #18 – that’s quite something. I think a bit of work has gone into it, too – the fade-in section in particular is terrific (not going to give pointers, partly out of laziness but mainly because you really do have to hear the whole thing). I could imagine dancing to it (although I probably wouldn’t dance again for the rest of the night) but at the same time it’s quite meditational, genuinely ‘trancey’. See also links at #20.
here. I can see that you probably don’t make money on your blog.